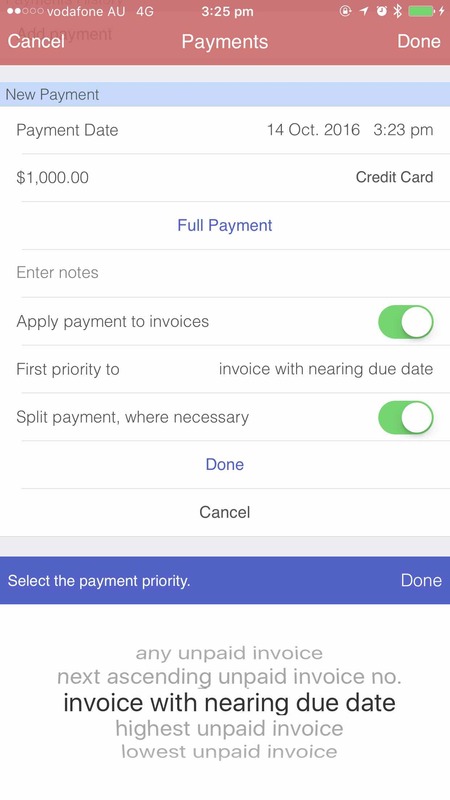 Work Clock intuitively handles split payments to invoices for the generated statement. 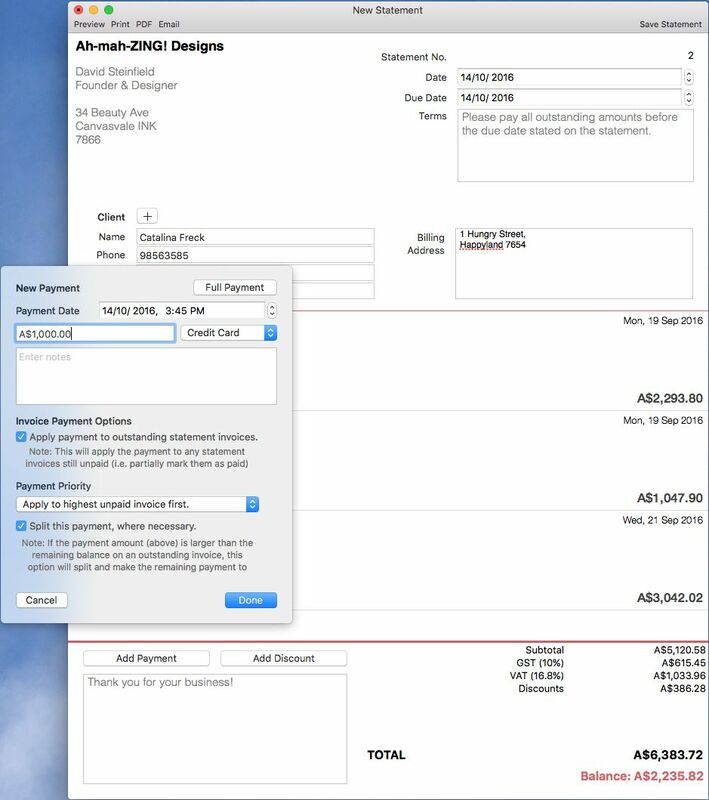 As clients make payments, there is an option to mark associated invoices as paid and in turn have the payments reflect on the statements. If you wish to apply a payment directly to the associated invoices on the statement, then check the "Apply payment to invoices" option with a payment priority of your choosing. Please note: If this option is turned OFF, the payment will go directly to the statement and the individual invoices will still be reflected as unpaid. There are several payment priority options available ranging from a more flexible "any unpaid invoice" to more specific "invoice with nearing due date" as the first priority. If there are multiple invoices on the statement, you can split the remaining balance to other unpaid invoices. Please note: If this option is turned OFF, the entire payment amount will be applied to one particular invoice determined by the 'first priority to' selection. Go to the statement, under "payments".